It can be easy to feel as though after an arrest for a DUI that there’s no defense good enough for your actions. However, that’s not true. Mistakes happen on both sides of the law, and you deserve the best case possible to help protect your future. Here are some of the most common DUI defenses available to you. Not all stops are equal. Some traffic stops are improper because the officers didn’t have reasonable suspicion to pull you over. They had to witness you doing something wrong to pull you over. For instance, speeding or swerving must be seen. If you’re pulled over illegally, the evidence that they collect is inadmissible. Like any test, field sobriety tests must follow protocols to have the right results. Violations in these protocols could result in an excellent defense. For instance, having to walk heel-toe while wearing high heels can be a violation. Having to do it in bad weather could also be a violation of the testing protocol. You may not have been able to walk correctly as expected because of these conditions. This evidence can possibly be made invalid due to these issues and result in your case being unable to move forward. This instance is especially true if the officers involved were overly intimidating, disrespect, or were behaving inappropriately towards you. Using a blood test and improperly storing or testing the sample is one of the common DUI defenses. Police must have the analysis done by a licensed phlebotomist quickly after your arrest. 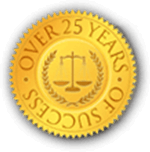 Waiting too long or having the testing done by someone less qualified can result in a good defense for your case. Also, the police must have the blood sample kept properly as evidence. The integrity of the sample could cause your case to be thrown out. Some medical conditions can make you look as though you had been drinking when pulled over. For instance, you could have watering red eyes from allergy issues or slurred speech from neurological problems. In addition, some conditions can even alter the results of a breathalyzer test. Ketosis, a side effect caused by diabetes can result in a smell similar to alcohol on your breath and may sometimes cause a breathalyzer test to give a false positive. The police must inform you that you’re under arrest. That is so you’re aware of when you’re under detainment and when you’re free to leave a situation. Once under arrest, you must immediately be told of your rights, which is the Miranda warning. If the Miranda warning weren’t given to you after being arrested, the evidence that had been collected afterward would often be excluded from your case. Prosecutors and law enforcement officers are aware that they cannot interrogate you or speak to you without having your lawyer present or the lawyer’s consent. They do sometimes violate this trying to seek a plea bargain. When going outside of due protocol, this plea can be invalid. Judges do not look fondly on these actions. Most of the other common DUI defenses used in this these cases result from something that happened during or right after the arrest. However, there are a lot of rules when it comes to the criminal justice system. That means that any violations of these rules when it comes to evidence or the procedures involved could result in a defense that’s not apparent until your trial starts. For instance, hearsay, improper character evidence, and evidence that’s not authentic can also result in a defense that wasn’t readily apparent previously. For example, dashcam video from the law enforcement vehicle involved in your stop must also include the officer’s testimony, they had to be present at the time of the field sobriety test, have proof that the defendant is the one in the video, and that the date and time of the video is accurate as asserted by the prosecution. That can be a lot of loose ends to handle. And, for the justice system to be fair, evidence has to be appropriately kept. After you’ve gone through an arrest for a DUI, it can seem like the only thing you should do is give up and let what happens happen. That doesn’t need to be the case. Contacting a legal professional that has experience in DUI cases can help you to make plans on how best to move forward. Taking these steps can help protect your future as much as possible depending on the situation that you found yourself in with an arrest. Using one of these common DUI defenses makes the most sense to help you get to that point. When it comes time to come up with which of the common DUI defenses you’re going to use, have a professional legal team at your side that’s experienced with DUI arrests. Contact the Law Office of S. Joshua Macktaz, Esq. today to discuss your DUI case. Each of these DUI defenses offers credible help to getting past this point in your life and moving on.